Yes, I finished a half marathon…. I did it!!! I did it…. yes, i did it…. finished a half marathon…. 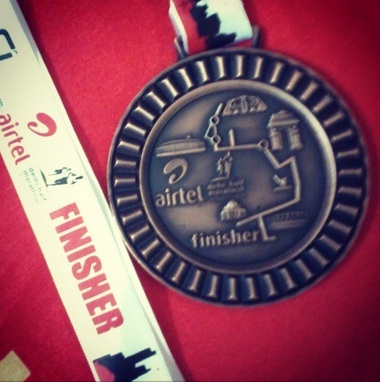 Finishing a marathon was a challenge i had put in my bucket list a while back…. 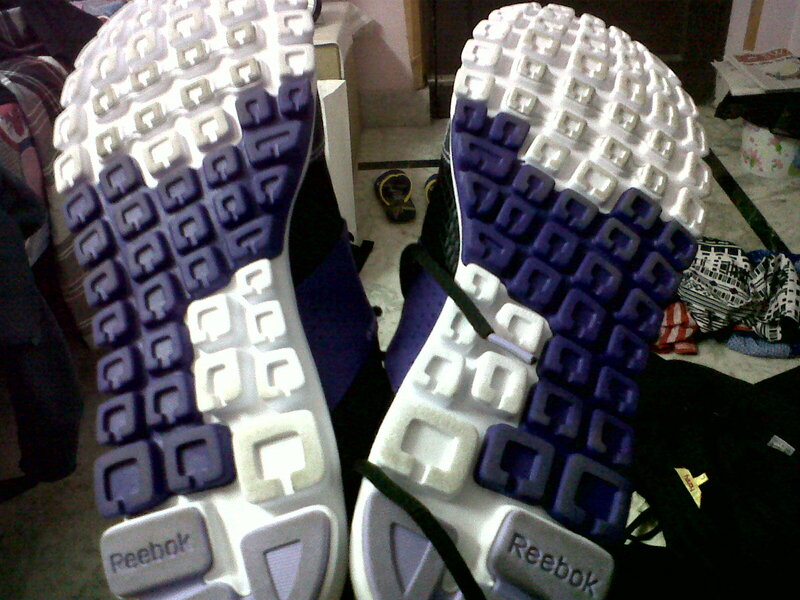 Trained for 4 months…. improving the pace day by day… taking up different levels; hard, easy, medium… it worked well… inbetween i had some injury scare…. managed to keep that cool with volini sprays and and bandages…. Race day didn’t start well for me… Didn’t sleep the previous night… probably because of excitement or tension… Then my cab driver turned up at the destination and refusing to come to my address… luckily, managed to reach in time…. That feel when u r about to take up something big and you are surrounded by 1000s of competition… that rush… that adrenaline… that was something!!!! I have never anything like that before… so when i finished, i was surprised at my effort… and a timing- 2:17:16…. made me proud!!! When i came back home after the race, every part of my body was aching… and i was dizzy, from lack of sleep and fatigue… but, i was happy…. happy that i did something which people said i cannot do and never expected me to do… i am glad i pushed myself… and i will push myself more to prove many more wrong…. I am looking forward to next year…. and the year after that… for all the runs and races and challenges i can take up!!! One more week to race day!!! Only worry is the severe cold and getting a bit of arthritic related injury… deciding not to exert too much next week… Focus mostly on strength and stamina building… and not giving any room for panic attacks (last day, i had a nightmare – i got up way too late on race day)…. 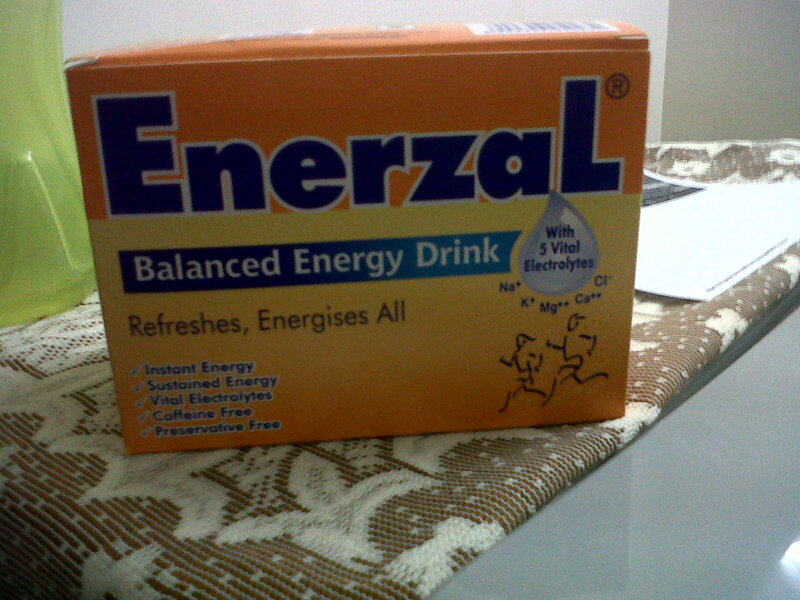 Well, getting ready physically and mentally…. 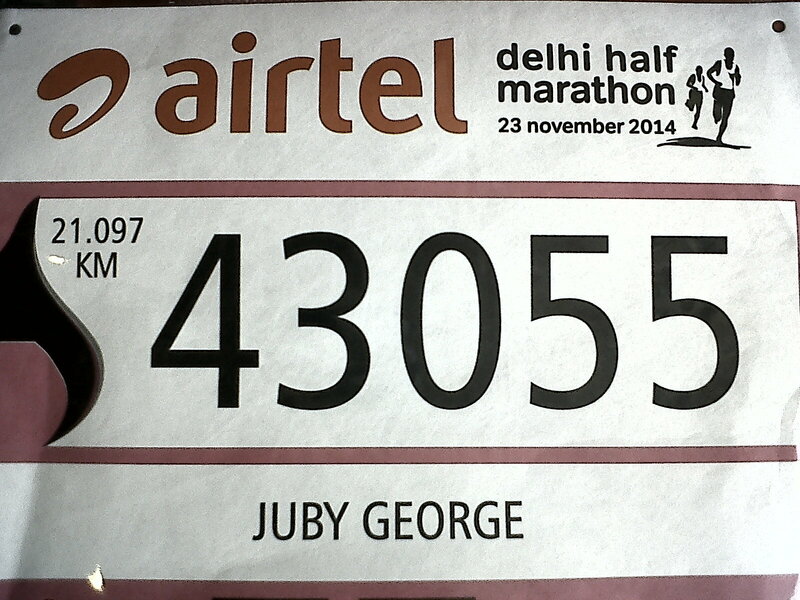 Airtel Delhi Half Marathon, here i come….